ZnO surface modification by the addition of silver was efficient in the photocatalytic decolorization of the DR23 diazo dye, due to silver's ability to inhibit recombination of charge carriers, photogenerated on the oxide surface. Lipase from Burkholderia cepacia immobilized into or onto silica support modified with protic ionic liquid and dried in pressurized media (aerogel) shows promising potential for industrial applications in the hydrolysis of vegetable oils. The effect of papaya seed extracts on the corrosion of carbon steel in 1 mol L-1 HCl was examined using polarization curves, impedance measurements, and weight loss measurements. The functionalization of an industrial oil shale by-product increased the cation exchange capacity of the material for use in enhancing soil properties and improving soil fertility. This work shows the theoretical study of binuclear complexes of Mn2+ ion with the 2-hydroxibenzilglycine ligand and its substituted derivatives, aiming to evaluate their possible activities as mimetic for catechol oxidase. The assessment of water and leaf of bromeliad (Aechmea blanchetiana) showed similar behavior in almost all evaluated points. Representative image of the study using the phosphorylated yam starch for the preparation of plastic films with good properties for using as mulchings and / or dressings. Lichens synthesize a great variety of metabolites with different structures and potential antioxidant activities. Unsurprisingly, the large pharmaceutical companies have initiated programs for the application of these metabolites in medicines using a multitude of modern biotests. Nanocomposite scaffolds in the Chitosan/PVA/Bioactive glass system obtained were highly porous (> 64%), exhibiting a cellular microstructure with interconnected pores in the 50-227 µm range, and thin walls. A new high-energy density material (HEDM) 3,7-bis(dinitromethylene)- 2,4,6,8-tetranitro-2,4,6,8-tetraazabicyclo[3.3.0]octane was designed, and its physical and chemical properties were fully studied by density functional theory (DFT) method at B3LYP/6-31G (d,p) level. The emergence of self-organized structures in chemical systems kept under far from equilibrium can be described by the coupling between nonlinear kinetics and diffusive processes. Schematic representation of quinones sources, their behavior, paths in the atmosphere and effects on health. Production of high purity grade hydrogen fluoride from cryolite. An alternative and playful practical class integrating experimental and in silico approaches for medicinal chemistry learning process. In this work, chemists with experience in different areas of industry and academy raised some important issues in career planning to help undergraduate chemistry students to get prepared for the future professional life. Examining the nature of discourse actions of pre-service chemistry teachers in order to allow the students to construct arguments. 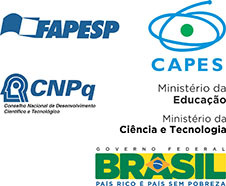 The main result of study on the profile and expectations indicated that students in Chemistry in University of Ponta Grossa, Paraná, Brazil, would like be a teacher or continue their studies in post-graduation. According to the IUPAC, the term chlorogenic acid should be used for 5-caffeoylquinic acid and NOT for 3-caffeoylquinic acid.